Cei Bach lies one and a half miles north of the harbour fishing village of New Quay and five miles south of Aberaeron harbour village. In a delightful, tranquil setting which overlooks, and has direct access down to a safe, sheltered, sandy beach. 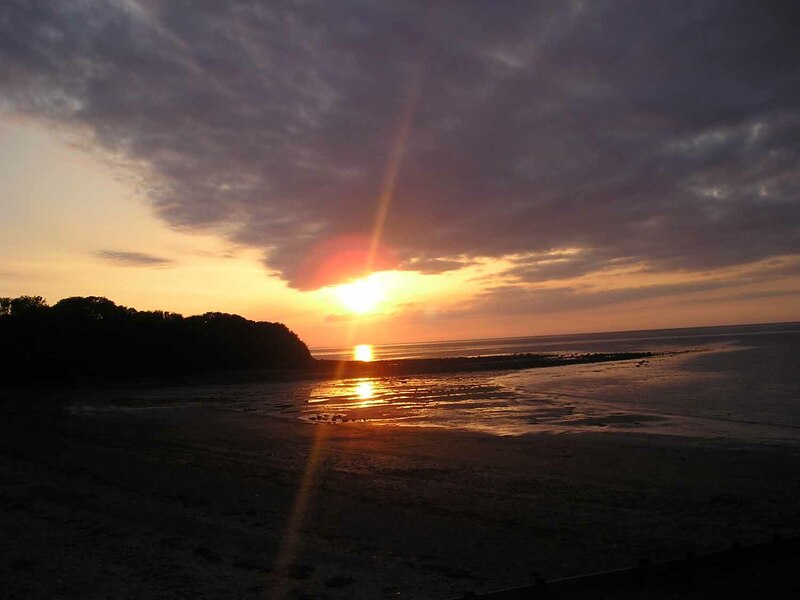 Stunning views out to sea and across the bay to New Quay with frequent dramatic sunsets can be enjoyed from the site or the beach. 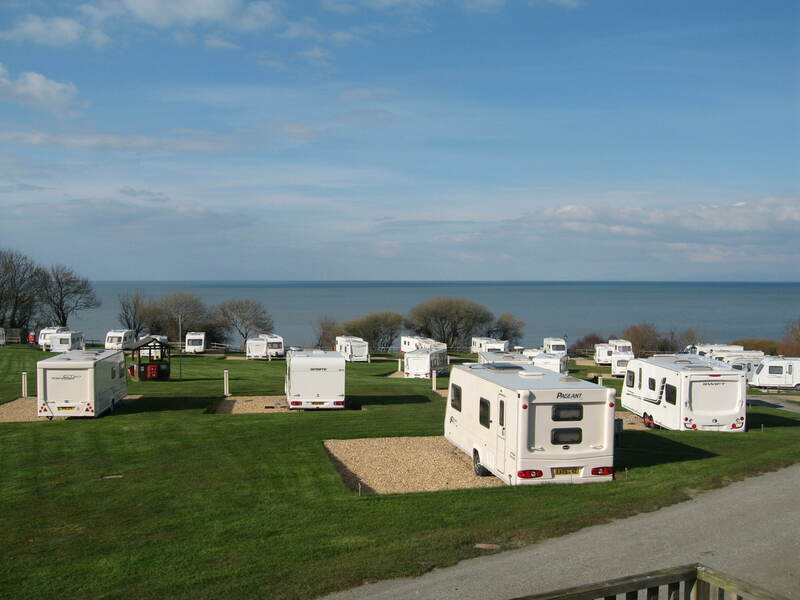 A quiet, family orientated site under the same ownership for 34 years, we welcome new customers as well as our loyal regulars who come back every season. Red kites can regularly be seen soaring overhead and New Quay is lucky enought to have a large pod of Dolphins residing in the bay along with Seals and other marine life. The site is situated just off the heritage coastal path from where, (if you are feeling energetic) you can walk to Aberaeron, enjoying the panoramic views as it continues over the waterfall footbridge. Dogs are allowed on the beach all year round for those who want to bring their faithful friend on holiday with them. 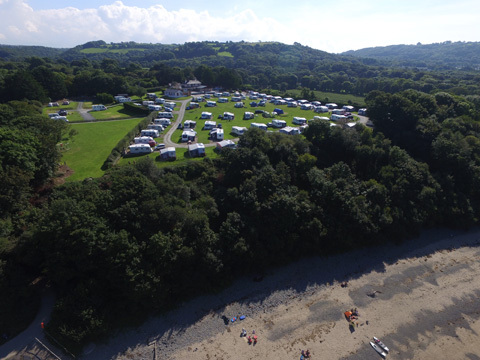 A 20 minute walk along the beach at low tide takes you straight to New Quay harbour and from there on to the quaint village where you can find shops, cafes, bars and restaurants to suit everybody. A boat trip will take you out around the bay for a closer encounter with the Seals and Dolphins. Dylan Thomas was highly associated with New Quay and a designated trail has been introduced for those interested in following up his life history, including a visit to the black Lion Hotel, reputedly his favourite drinking establishment. 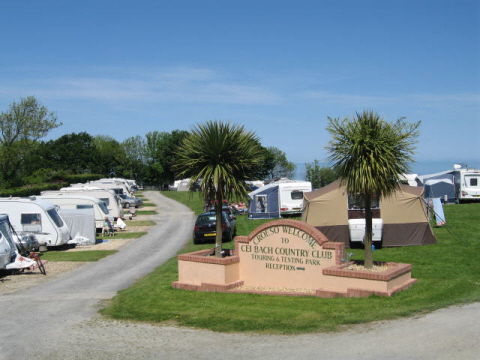 Cei Bach Country Club, Parc-Y-Brwcs,Cei Bach New Quay, Ceredigion. All copyright and trade marks on or relating to this web site or accessible via links from this web site are owned by the respective web site owners, or their licensers.